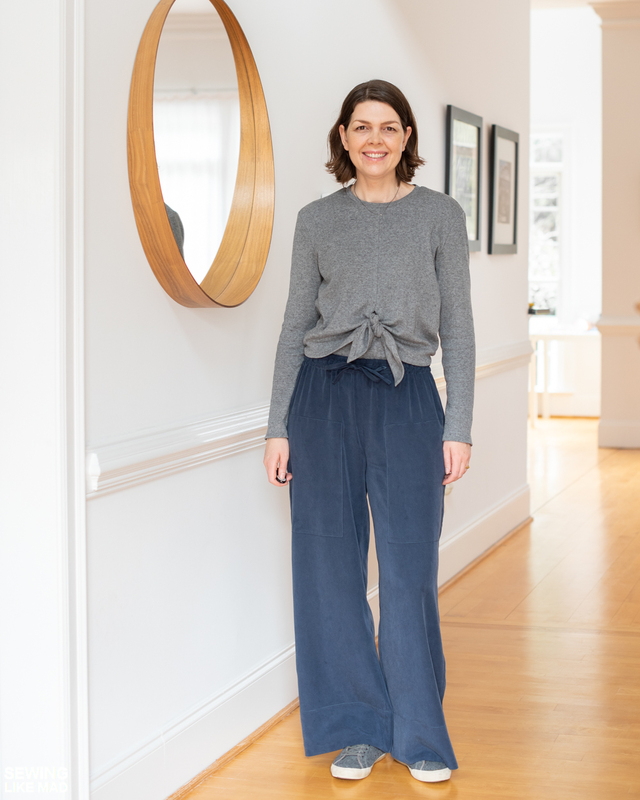 This trendy wide leg pant is not only fashionable but very comfortable with its elastic waist. 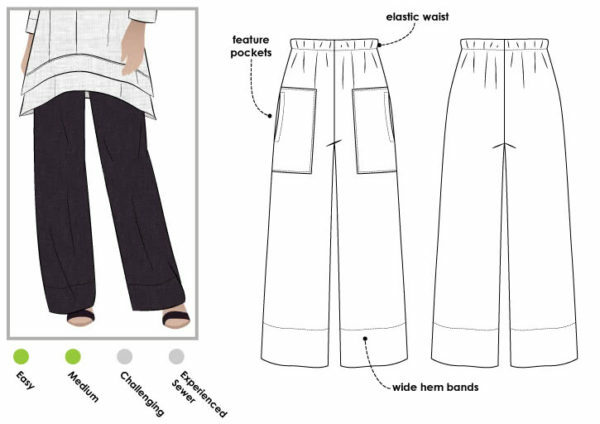 Interesting patch pocket with side opening and wide faced hem make this pant a must have. This is a size 14, with length added to the legs to accommodate my height. I did some changes to my waist because it was too low on me. You can read all the details in this Instagram post: https://www.instagram.com/p/BtyHbBLnRm6/ I absolutely love this pattern and will wear these a lot. I love all the great details, like the pockets and the super wide hem facings.